Live steam comes in many sizes, from the very small to the very large. Grand Scale railways, generally classified as operating with 12-24” gauge track, are popular with zoos, amusement parks and private operators throughout the world. Locomotives and rolling stock are usually large enough to ride inside, rather than straddling on top with smaller scales. Our program takes you to three fine North American examples of Grand Scale! Whiskey River Railway - located in Marshall, Wisconsin, at Little Amerricka amusement park. The park and 16” gauge railroad were founded in 1991 by the late Lee W. Merrick. After departing the station, trains quickly leave the park rides behind as they pass through a long tunnel and enter a rural landscape that includes domestic farm animals plus zebras and other exotic creatures. Also on site is the Merrick Light Railway Equipment Works, which builds and restores locomotives and rolling stock. Four steam locomotives operated during our visit, including 4-6-2 Pacific #1919, which was built here. Milwaukee County Zoo Train - two steam locomotives built by Sandley Light Railway Equipment operate on this 15” line built in 1958. The line is a continuous loop which takes passengers around the beautiful grounds in about 12 minutes. The Zoo operated an extra-long train behind fast-moving 4-6-2 #1924 in honor of our visit. We also catch a little action with diesel #1958 in Milwaukee Road colors. Running time 81 minutes - Captured with multiple tripod-mounted HD cameras (and loco-cam, Whiskey River) - Organized by chapters - Minimal narration - less talk, more action! 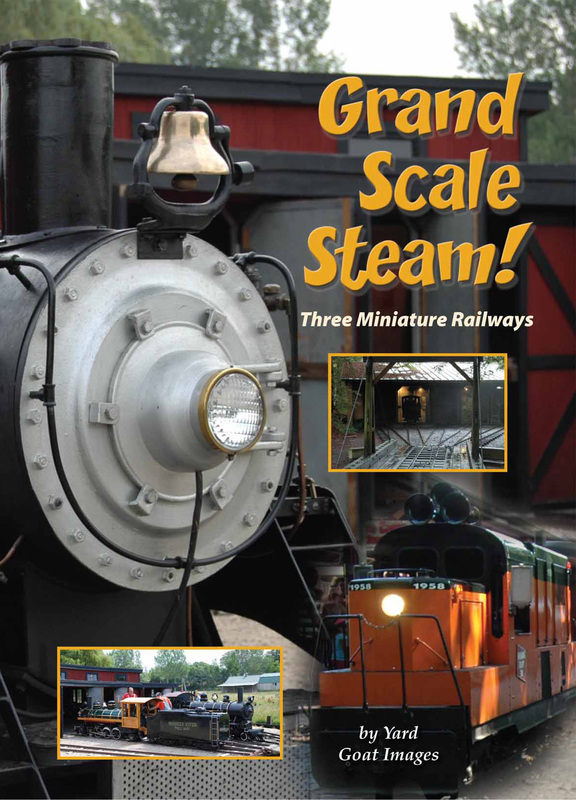 Grand Scale Steam: Three Miniature Railways from Yard Goat Images on Vimeo.